Frozen 2 Release Date, Cast: Frozen 2 is on its way to completion and we’ve got every news related to the highly awaited sequel. In an interview, producer Peter Del Vacho said they are doing their best in the sequence. “We’re in the development writing process and are very excited by it. Like all movies, it will evolve,” Del Vacho added. Del Vacho also stated that Frozen 2 plot is made upon the basis of events happened in the first movie. They’ll also define some arcs presented in the film so that fans could understand more about relationships between Elsa and Amma and Elsa’s power. 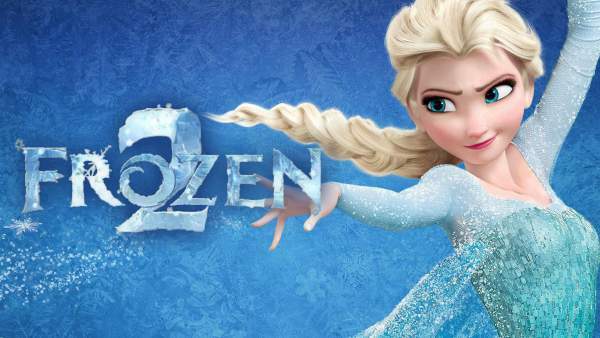 Fans will see new Elsa in Frozen2 not just in terms of personality but outfits too. Cast members will be same as of the prequel including Idina Menzel, Kristen Bell, Jonathan Groff, and Josh Gad. There is no news about Santino Fontana to take his role of Prince Hans or if this character will be seen in the sequel. Jennifer Lee will return and direct the animated movie. Evan Rachel Wood (Westworld, Charlie Countryman) and Sterling K. Brown (This is Us, Black Panther) will also be linked somehow with the movie. Directors Chris Buck and Jennifer Lee are returning with Peter behind the camera. Hidden Figures writer Allison Schroeder will assist Lee with the script. It would be hard to match the fame gained by ‘Let It Go’. It was a masterpiece soundtrack that Disney has ever produced. Let it go also won the Academy Award for the best original song. Frozen 2 will have to do something to match what Let It Go has already achieved. “I think they’ll definitely try to position one song as a Let It Go-trumping central number. At a guess, though, it might be a duet between the sisters,” Telegraph film critic Tim Robey said. Christophe Beck, Robert Lopez, and Kristen Anderson-Lopez haven’t decided yet if they’ll appear in the sequel or not but is said that Disney will take them along. Update: November 27, 2019, it is. Disney announced. There is news that it won’t be out before 2019. The first film took 2 years to complete after getting the green light. And, as of now, Disney is busy with 2018 (projects including life-action versions of Beauty and the Beast and Mulan, animated originals Coco and Gigantic, and sequels to Wreck-It Ralph, Cars, and The Incredibles), and Frozen 2 ain’t on ’em. A Christmas special for 2017 starring Olaf has been planned. It aired on the ABC network in the US and focused on the cheerful Snowman. Anna, Elsa, Kristoff, and Sven returned. Award-winning animators Kevin Deters and Steven Wermers directed it. According to the co-director Chris Buck, the upcoming movie will feature the evolution in the lives of the stars Anna, Kristoff, and Olaf. But, Elsa will witness the biggest change of all. Earlier, she faced a dramatic journey, but towards the end she started to open up and do some fun again. Buck said that the fans will love her. The story hasn’t been revealed, but we know that the filmmakers came up with the ending of the Frozen 2 first and then, they started to work back from that point. Bell said that the story is great and it took them a while to figure out the best one, important, and engaging. Rumors are ripe saying everything from a love story, and how finding out that Anna and Elsa aren’t actually biological sisters affect their relationship. Fans have already asked for Elsa to get her a girlfriend to which Lee responded with a Disney featuring a Wrinkle in Time. Tony winner Idina Menzel has said that it would be great. We have already got frozen 2 release date. Stay tuned for the latest news regarding the upcoming sequel.